The fiance and I are getting married in early June. Her papa and wife want to take us on a trip following the wedding in June or July. We were initially planning on a Greek Isles cruise but flights we see are ranging upwards of $1500/person. We have been to the Caribbean multiple times and want to do something different. What are some places we may not think of stateside to get away for a week? I think Maine would be great weather in the summer but have no experience in the northeast. Any recommendations? ETA: I reckon I should add a beach environment would probably be at the top of our list, but we have spent a lot of time on the gulf coast as well so we'd like to stay away from there. Hawaii could be a possibility. I like the idea of Maine, but you might also consider Cape Cod or Nantucket. We are both homebodies so we would want something relaxing that includes sitting beachside or at the pool. I started looking around Charleston, Savannah, and the outerbanks. We would want something with night life and good food. I have to keep in mind accommodations for four people. We definitely want our own space away from her grandparents. Maybe a golf cart community on the beach is the way to go. I would do Maine over Cape Cod and Nantucket. Acadia National Park and Bar Harbor are really nice. Weather in summer is perfect. Cool nights (sometimes you need a light jacket) with highs in the 70's. There is a lot to see and do within short drives. Kennebunkport has some nice places to stay at reasonable prices that have nice amenities - pools, water views, whole in the wall lobster places, etc. Check out Nonantum that has dock access with fishing charters, lobster tours, or wine sailings. It has a pool, free buffet breakfast every morning and a poolside bar/grill for lunchtime. Nantucket will be very expensive to stay there and if you stay on Cape Cod and went to Nantucket or Martha's Vineyard, it's by ferry access and you would not have transportation when you get there. Another option would be Newport Rhode Island but also very expensive, might be better to visit one day. A cottage on a beach or coast in New England would be fantastic imo. You could also look somewhere like Seattle or the Oregon Gold Coast. Do something different but still beachy. Emerald Lake Lodge in Alberta Canada. You'll thank me later! Maine would be a nice option. If you have the time and would like to experience a very different culture without having to travel far, you could split your trip up and do a little time in Maine and then make your way to Montreal. Hawks Cay in the Keys maybe? I was going to suggest Lake Chelan. Rent a condo or cottage on the southern end of the lake in Chelan or Manson, spend some time relaxing on the beach, take the ferry up to Stehekin, visit a winery or orchard, decent restaurants and low key nightlife in Chelan, surrounded by public lands and some of the most spectacular hiking in the US. 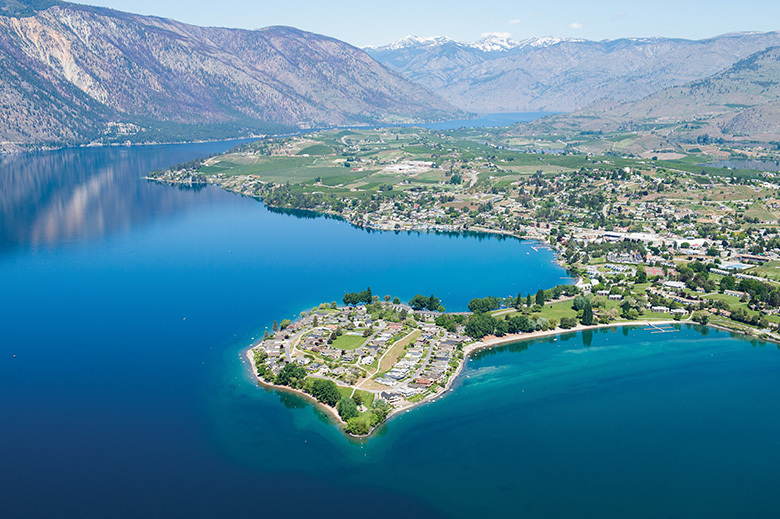 Lake Chelan is off the beaten path for pretty much anyone outside of WA, but it is a beautiful and laid back spot with beaches, water, outdoors, and wine. Wow, That is gorgeous scenery. Ensley, Alabama is beautiful this time of the year. I will add that the upper Peninsula of Michigan is amazing. Start looking around Traverse City. Wineries. Lake Michigan and incredible white sand beaches. Big Bear Dunes. Her papa and wife want to take us on a trip following the wedding in June or July. Unsolicited advice, don’t bring your in-laws along on your honeymoon. If you go to the outerbanks (OBX) of NC you will probably want to rent a small house. There are not many hotels but a lot of houses to rent. In the summer time the owners usually only want to rent for a week. IMO the OBX beaches are not as nice as those on the Gulf. There are some good restaurants, and some not so good ones, but I don't know about a lot of nightlife there. It is not promoted. We spent 5 days there a few summers ago; 2 nights at the Hilton Garden Inn at Kill Devil Hills, 2 nights at a B&B on Ocracoke Island and 1 night at Atlantic Beach. We just worked our way north to south. If you want to see the sights you either have to move to a different place or do a lot of back track driving. We were in Maine last year. I think I read somewhere that they don't have a lot of sand beaches; I think they are shell or rocks. There are a lot of locally owned hotels/Inns along the coast to stay at however. If you decide to go Maine or the OBX I can tell you more about our experiences. I am having a hard time getting my head around a post wedding trip with the grandparents but it is not clear if this is the honeymoon or just an extra trip. But, my recommendation is Vancouver, BC. I don't know if they have beaches there though. Not the in laws as in her parents. It’s her grandfather and his wife. Her grandfather and I get along like two bros from high school. i won’t call it the honeymoon. It’s a free trip that I’ll take since we will be closing on a home at that same time. We will do a honeymoon later. Well, what do the grandparents like to do? That might help you determine where to go. Of course they enjoy shopping. They have traveled all over this world. Papa and I both enjoy golf.